The 2017 Ford Escape from El Paso takes your driving experience one step further. With a set of enhancements gracing its interior, exterior and below the hood, this vehicle competes proudly in the compact SUV segment. It prioritizes user-friendliness, connectivity, and sophistication to challenge leaders in its class. If you’re looking for a spacious, comfortable, and modern ride, pay attention to this Ford in El Paso when visiting Ford dealerships. 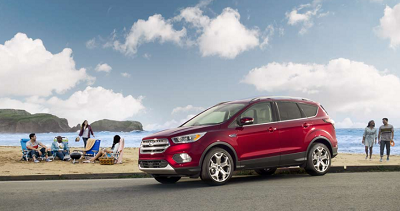 In terms of driving dynamics, the 2017 Escape exemplifies the terms smooth and confident. It’s available in three engine options. The 2.5-liter, four-cylinder powertrain produces 168 horsepower and 170 pound-feet of torque, while the 1.5-liter, turbocharged engine metes out 179 horsepower and 177 pound-feet of torque. If you need more power and speed, opt for the 2.0-liter, turbocharged workhorse producing 245 horsepower and 275 pound-feet of torque. This entry was posted in Business on August 27, 2016 by Domingo.